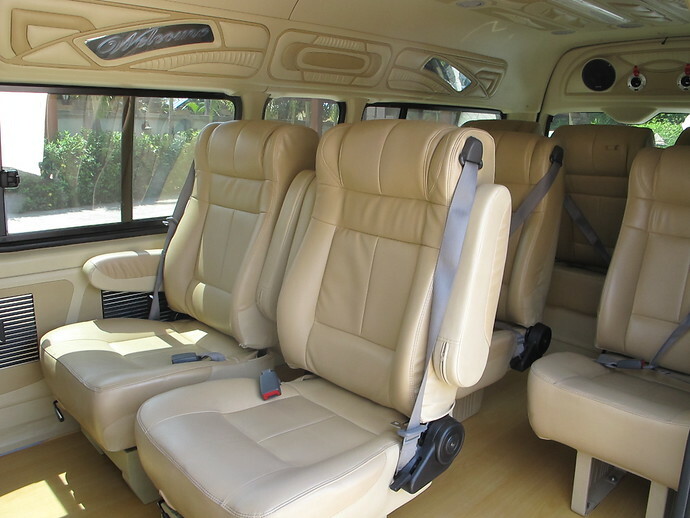 Book a private, air-conditioned Koh Lanta To Khao Lak taxi minivan which will transfer you door-to-door from your Koh Lanta hotel to your Khao Lak hotel. The taxi leaves at the time that you specify when booking. 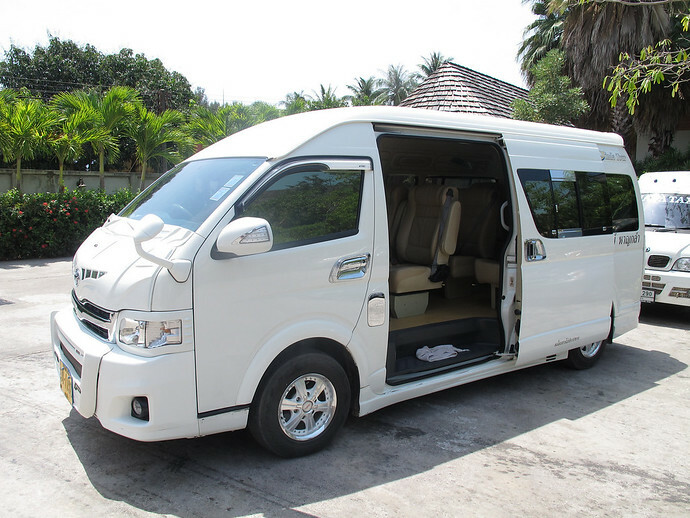 The journey time in the minivan from Koh Lanta to Khao Lak takes approximately 5 to 6 hours because it involves a car ferry crossings from Koh Lanta to the mainland. The speed of the journey depends on whether there are queues for the car ferry. The length of Koh Lanta will also have an impact on the journey time â€“ if you stay in the south of Koh Lanta it can be up to one hour transfer time to Saladan where the bridge going off the Island is located. From Koh Lanta to Khao Lak the earliest pick up departure time is 6am the latest pick departure time is 8:30pm. You choose any time that suits you best. From Ao Khao Lak to Koh Lanta the earliest pick up departure time is 6am the latest pick up departure time is 5pm. You choose any time that suits you best. Please note that during the minivan transfer,the Koh Lanta car ferry charges 23 Thai Baht per person. The ferry tickets are not included in the minivan price. Upon arrival at the first pier the driver will collect the money from you, buy the tickets and then drive on to the ferry. You can sit in the minivan all the time. You do not have to exit the vehicle. Please note AmazingLanta.com acts as a booking agent for South Online Travel who operate the Minivan Transfer service. AmazingLanta.com is not responsible and accepts no liability for delayed transfers, lost luggage, accidents, personal injury or any of South Online Travel's operations. By making a booking you agree to these terms and conditions. Please Note: For minivan transfers the earliest pickup time is 6am and the latest departure time from Koh Lanta is 8.30pm. 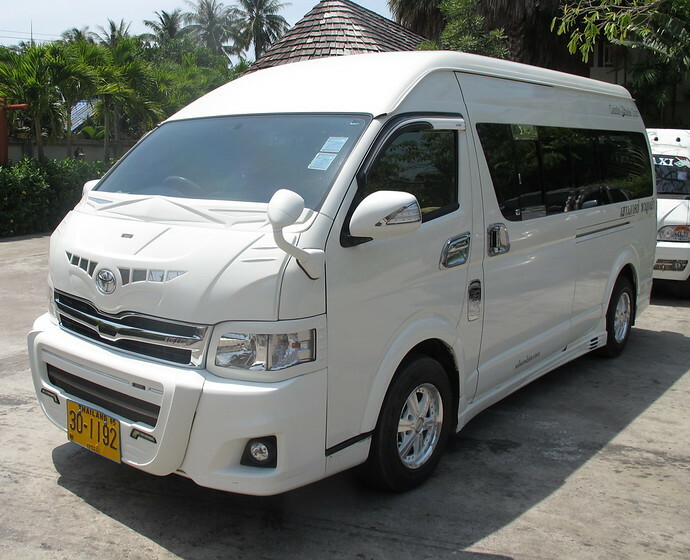 Please Note: For minivan transfers the earliest pickup time is 6am and the latest departure time from Koh Lanta is 10am. The minivan journey from Koh Lanta to Donsak Pier takes about 6 hours depending on where you stay on Koh Lanta and the queue time at the Koh Lanta car ferry. Please state your Airline, Flight Number, Time Of Departure from at Krabi Airport and your final destination e.g. "AirAsia	FD3218 13:40 to Bangkok". Please use 24-hour clock. The car ferry only operates in daylight hours. The earliest ferry departure time is 06:00 If your flight departs before 10am Domestic Flights or before 10:30am International flights we will not be able to transfer you on time for those flight. The earliest pickup departure time from Koh Lanta is 6am allowing you to arrive at Phuket airport in plenty of time for flights departing Phuket at 1pm. The latest pickup departure time from Koh Lanta is 8:30pm. Once we have received your booking with your flight details, we will contact you to confirm your exact pickup time from your Koh Lanta hotel. Please state your Airline, Flight Number, Time Of Departure from at Trang Airport and your final destination e.g. "AirAsia	FD3242 09:55 to Bangkok". Please use 24-hour clock. The earliest pickup departure time from Koh Lanta is 6am allowing you to arrive at Trang airport in plenty of time for flights departing Trang at 11:00am. The latest pickup departure time from Koh Lanta is 8:30pm. Once we have received your booking with your flight details, we will contact you to confirm your exact pickup time from your Koh Lanta hotel. Please enter your hotel address details so the minivan driver can easily pick drop you off. Still need to book your Khao Lak hotel? Please tell us your ferry departure time from Pakbara Pier and your final destination, e.g. "2:30pm to Koh Lipe". Still need to book your Surat Thani hotel? Please Note: The earliest pickup time departing from Ao Nang is 6am and the latest departure time from Ao Nang is 8pm. The last pickup time from Donsak Pier is 16:00 (4pm). Please Note: The latest departure time from Khao Lak to Koh Lanta is 5pm. Please enter your hotel address details so the minivan driver can easily pick pick you up. Please Note: The latest departure time from Krabi Town to Koh Lanta is 8pm. Please tell us your ferry departure time to Pakbara Pier and where you are travelling from, e.g. "12:30pm from Koh Lipe". Please Note: The latest departure time from Phuket to Koh Lanta is 5pm. Please Note: The latest departure time from Surat Thani to Koh Lanta is 4pm. Please Note: The latest departure time from Trang Town to Koh Lanta is 7pm.